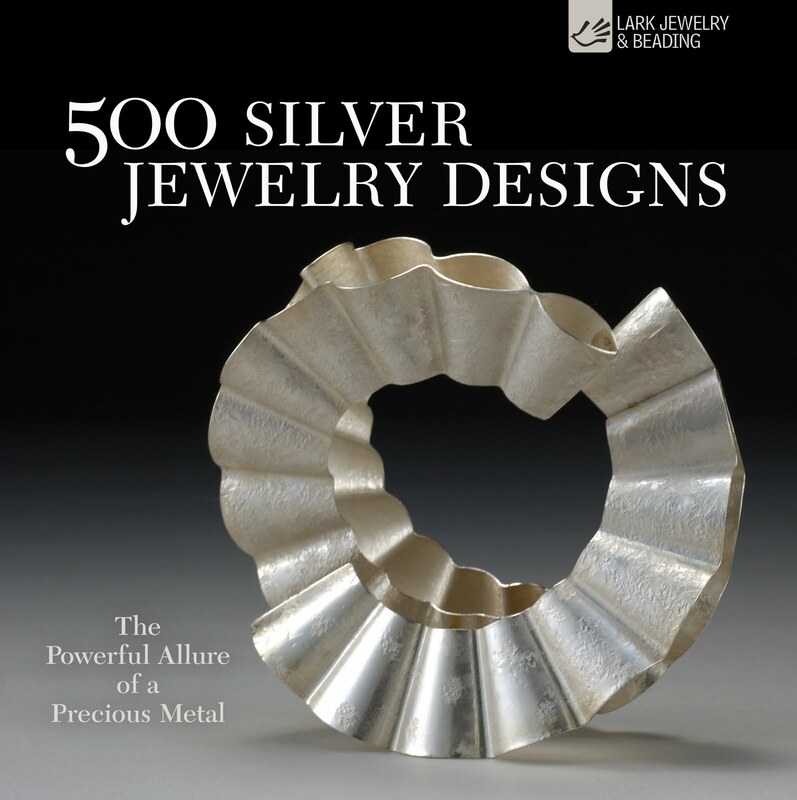 I just received another fantastic book from the 500 series by Lark Jewelry & Beading. 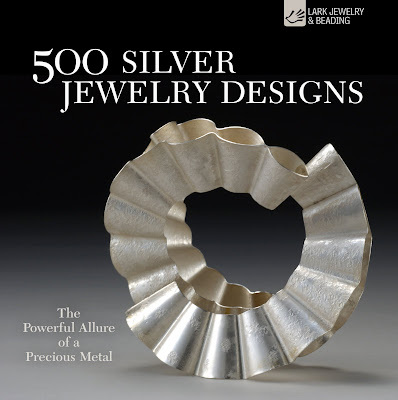 This time is 500 Silver Jewelry Designs: The Powerful Allure of a Precious Metal (500 Series) . Marthe Le Van is the editor of this incredible book, the selection of the pieces were juror by Talya Baharal. Baharal is a full time studio jeweler and sculptor. In 2007 she received a New York Foundation for the Arts Fellowship Grant in Crafts. Her work has been featured in severals books and magazines. The book has stunning work from 260 very talented artists from around the world. 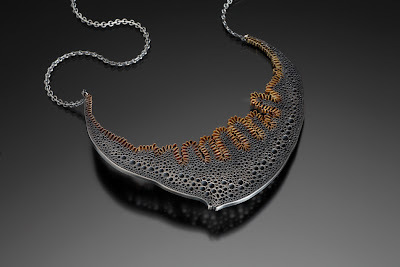 Every piece is unique and I am sure it will inspired you a lot. I was very happy to see the many faces silver can have. You do not need a lot of extra materials to really make this wonderful metal came to life. 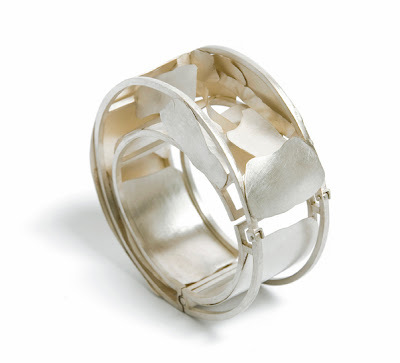 The work featured in the book represents the many faces each artists created by just using silver as their main material. Here you have some examples of the diversity in the work represented in this fantastic book. 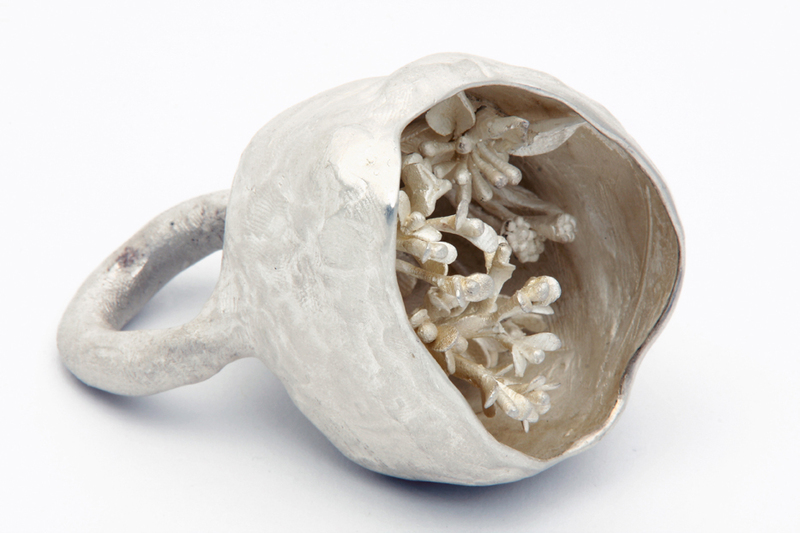 Sterling silver; wax modeled, cast. Sterling silver, 14-karat gold, LOS patina; hand fabricated, oxidized. You will love it Michele ! !